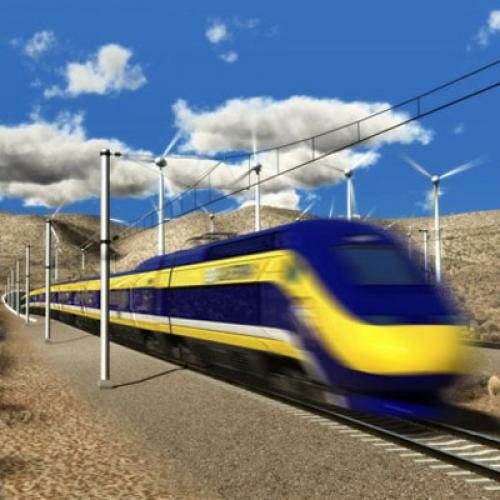 High Speed Rail: A Social Cohesion Strategy for the U.S.? When President Obama unveiled his budget allocation for high-speed rail, he said, “In France, high-speed rail has pulled regions from isolation, ignited growth [and], remade quiet towns into thriving tourist destinations.” His remarks emphasize how high-speed rail is increasing the accessibility of isolated places as an argument for similarly investments. So, what’s the source of this argument in the European context? In particular, the research found that the core of Europe--Germany, France, Belgium, the Netherlands, and Switzerland--has the highest potential accessibility. Europe’s core produces the highest levels of economic output and has the highest population densities. ESPON argues that with such densities, the core has found reason to link their economic hubs (cities) with high-speed rail. These are the places in Europe where they have the greatest returns on investment. But ESPON also found that high speed rail is starting to increase the accessibility of isolated places such as France’s Tours, Lyon, and Marseille. This is a very important finding for Europe. They have a long-standing policy of social cohesion and balance, striving to create economic sustainability and population stability across Europe. The objective is for areas well beyond core to thrive economically and to dissuade people from migrating in search of jobs. Fiscally, social cohesion translates into investing disproportionately more money into areas not producing sufficient levels of economic output. High-speed rail is but one of the many strategies intending to produce “economic and social cohesion,” states a European Commission report on high-speed rail. But we are not Europe. While their thesis underpinning high-speed rail is social cohesion, what is our underlying thesis for high-speed rail? And what does this look like spatially? What was the logic behind the selection of Florida over other possible corridors? Is this line going to strengthen our national economy and GDP? Clarity on this score will help ensure the project is a success and offers a high return on investment. Lessons from this accessibility study say that places with high population levels and GDP output offer the greatest accessibility and therefore success. It would be a pity if the U.S. finally jumped on the high-speed bandwagon but still missed the train. The Avenue, Europe, Metro Policy, Lyon, France, Belgium, Marseille, Germany, The Netherlands, European Commission, European Union, U.S.